There are so many stamp companies right now that have great arrow stamps and I realized when I made my card for this week I don't really have many. 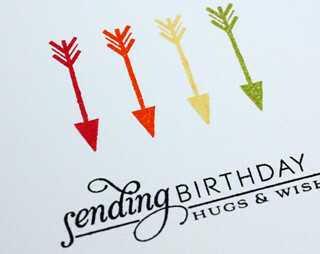 So I did a bit of shopping first in my own stash and then online, soon I will be overrun, but for today's post I used this sweet perfectly sized arrows from Fresh Squeezed Stamps for an easy gender non-specific birthday card! 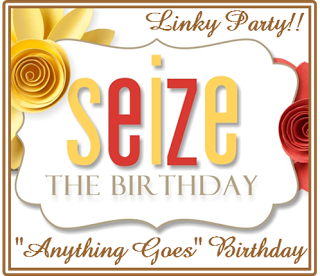 I am also submitting this card to the current Seize the Birthday challenge. I can't wait to see what ARROW means to you! Cuuuuuute! I think I might have ONE arrow stamp!!!! I am always behind the trends! great colours, clean design! Love it! super CUTE Tracey! Love all the colors! Perfect CAS card, Tracey! Love those colorful arrows! A perfect, gender-neutral birthday card! Those can be so hard to create but you've nailed this one! What a fabulous card. All signs point to a happy birthday, right? Fabulous, love the rainbow of color! Beautiful! Love the colors and how simple this is!! Awesome! I like the colorful arrows! Cute design Tracey! Love this Tracey, I have this stamp set, think it nay need stamping!! Such a cute card, Tracey! I love your CAS design and your sentiment is so elegant! 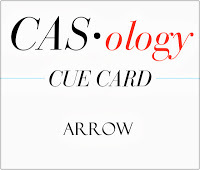 Love this gorgeous arrow card! Love that sentiment too it's so clean and classy. Thanks for choosing my card as one of your favorites...your too sweet. love how you added the arrows.. so cute..
Fun colours. .. love it! Cool colours, clean design. Love it! simple and cute! those arrow are so fun! love this, Tracey! Another wonderfully bright and crisp clean super CASCard, love it!!! LOL! I do that too! Find an item that I have no stamps for (Clocks, feathers, etc) and then end up with 50 different ones! 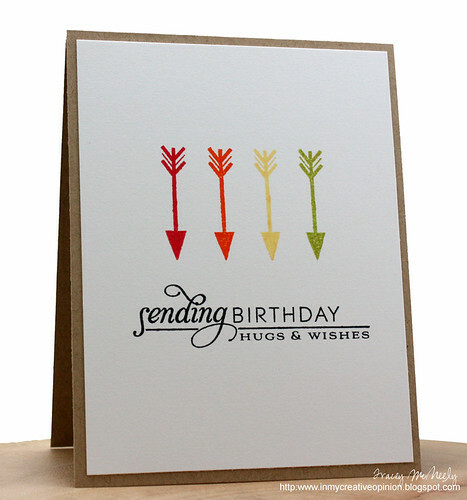 Love these sweet little arrows and how the colours pop off the white and kraft! What a fantastic, CAS design, girl! Really love that perfectly stamped row of colorful arrows! My CAS loving heart adores this card! Clean and crisp! Oh this is fabulous Tracey! The simplicity is marvelous! Love love!! Love how you've lined up the arrows! Great card!!! What a fun way to point out a sentiment! Perfectly CAS! Your stamping is perfect...as usual! Perfect! I love how you've used the arrows to highlight the sentiment on this card. Beautiful work, Tracey! Tracey, this card is a CLASSIC in every way! I love the layout, the colors, the sentiment design, the perfectly arranged arrows, the no-gender-specific colors of the arrows...a classic! 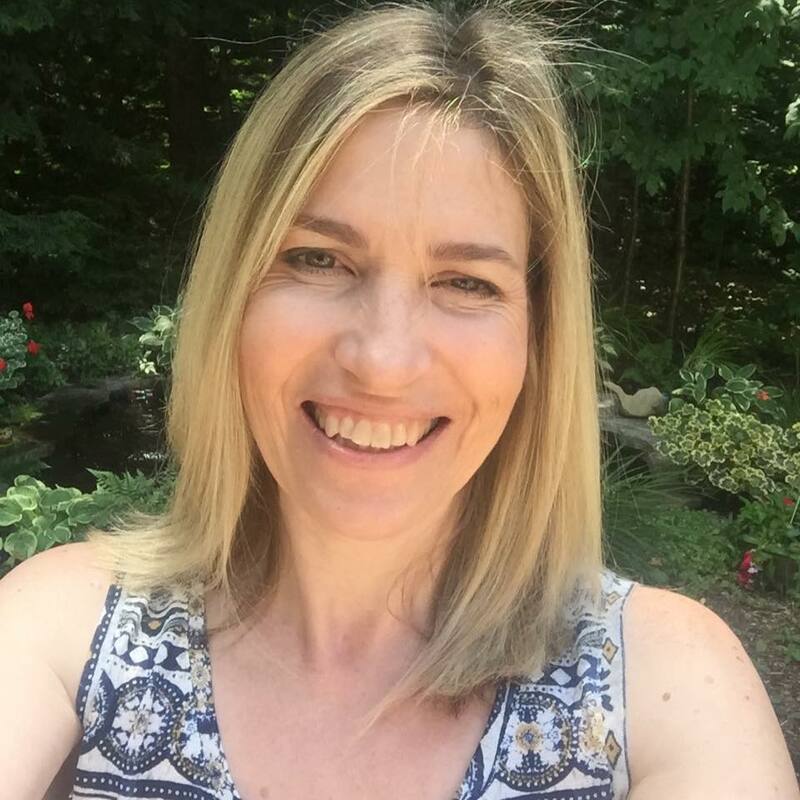 Simply perfect, Tracey! I had to look long and hard to find an arrow in my stash too! Love the gender non-specific-ness of this! I need more of that kind of card for my card stash!! !